Nintendo’s Switch is bringing a lot of classic indie games to a new audience, even if said game has been on every other platform around. Max: The Curse Of Brotherhood deserves more attention, though, so I’m happy to see it reach another set of gamers. In some ways, the game feels like it’s returning to Nintendo, being the sequel to a WiiWare game Max and the Magic Marker. though it’s Stage Clear Studios who are now taking over the developer role for this platform. They’ve done a great job, too, with the game looking great on both docked mode and handheld. From the off, the cinematic cut scenes are wonderfully presented and the game worlds feel lovingly created, introducing Max and the fate of his brother who, thanks to Max’s meddling, has been snatched through to a magical dimension (think Labyrinth). Voice acting is spot on for the most part, too, making it feel like a much more expensive production. The 2.5D landscapes have a lot going on in the background, though none of this distracts you from the task at hand. While it isn’t the longest game in the world, Max’s adventure cleverly splits the gameplay up between platforming, puzzle and some occasional fast paced action. This way, it never outstays its welcome and always feels fresh. Your main weapon, as in the first game, is a magic marker which can be used for solving puzzles. One nice touch (literally) is the ability to use the touchscreen in handheld mode to draw with the magic marker. The game stitches every element together perfectly and you’ll be traipsing through the themed worlds with a smile on your face. It has a few difficultly spikes but nothing too taxing and, while it doesn’t hold your hand, is fairly easy to complete by those new to the genre. 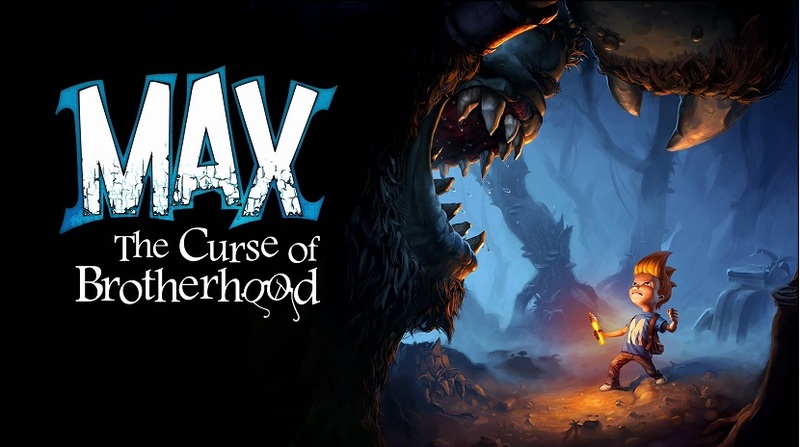 Max: The Curse of Brotherhood is another wonderful title for Switch’s library and is well worth picking up for fans of good looking platform games.